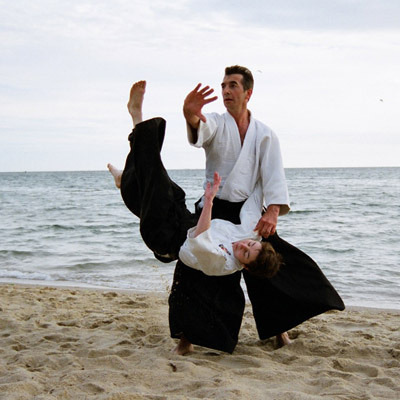 The Melbourne based Aikido-Yoga training centres are located in Cheltenham and Brighton, Melbourne, Victoria, Australia. Please call Jules Aib on 0418 568 638 for more information and follow the links in the tabs above for exact class location and times for both adult and kids Aikido-Yoga classes held in Melbourne. The Perth based Aikido-Yoga training centre is located in Willagee, Perth, Western Australia. Please call James Irving on 0449865807 for more information and follow the links in the tabs above for class location and times for adult Aikido-Yoga classes held in Perth. 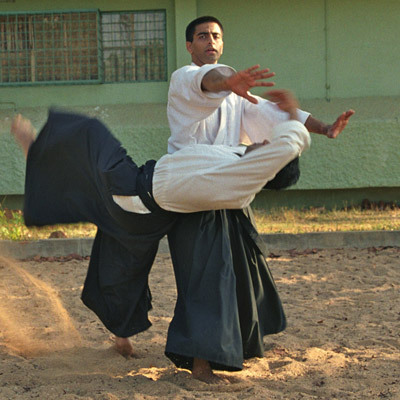 The Bangalore based Aikido-Yoga training centres are located atVasanthanagar and Palace Road, Bangalore, Karnataka, India. Please call M.C Thimmaiah on 98441 06903 for more information and follow the links in the tabs above for exact class location and times for adult Aikido-Yoga classes held in Bangalore. Aikido is one of the most popular martial arts practiced worldwide. What differentiates Aikido from other traditional martial arts is that it’s empty-hand techniques are derived from the body movements, martial strategy and mental focus of Japanese swordsmanship. Aikido’s free flowing circular movements enable you to redirect the energy from an opponent without having to clash with the force of the attack. This non-aggressive strategy allows you to effectively defend yourself without the need to employ the destructive punching and kicking techniques that characterise other combat arts. All around the world, yoga has proven itself to be a very practical and effective way of facilitating physical and mental well-being, developing core stability, enhancing co-ordination, and activating personal power through enhanced focus, awareness, breathing and meditation techniques. Aikido-Yoga integrates the traditional training methods employed by the Japanese martial art of Aikido with the ancient science of Yoga. 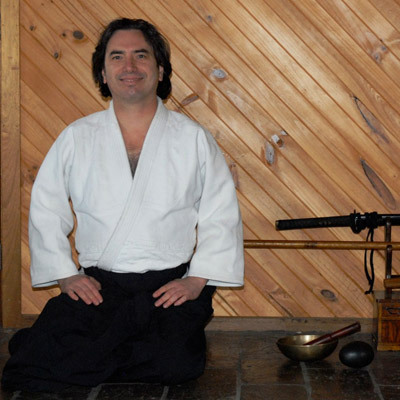 Far more than a separate study of Aikido and Yoga in isolation from each other, the pragmatic training methods of Aikido-Yoga provide a seamless integration of the two disciplines. The training takes place in a safe, friendly, non-competitive group environment, at a pace that is tailored to your ability. This ensures an injury-free training session that is most suitable for men, women and children of all ages. The training promotes a healthy lifestyle and teaches discipline, etiquette and respect for all life. We are strongly committed to maintaining the authentic, traditional ideals of the unique martial-art of Aikido as originally taught by Morihei Ueshiba (1883-1969). However, cross-training in Yoga ensures that we gain the many rich and rewarding benefits that are offered by both of these incredible disciplines in order to pragmatically facilitate the physical, emotional, mental and spiritual aspects of our personal growth in a realistic, practical, structured and results-oriented way. What are the best fighters feeling, thinking, and doing before, during, and after combat? The intriguing answer to this question seeks to satiate those who are curious about the secret world the martial artist inhabits. This remarkable book also includes photographs that exemplify the true spirit of martial arts, designed to enhance the beauty, wisdom, and deep insight into the science of combat strategy. Whether you are a practitioner of any combat system or are simply a fan of mixed martial arts, this guide offers a peek into the heart and soul of elite fighters who are true martial artists. 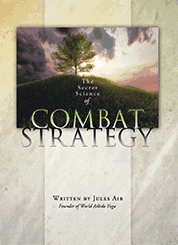 Ultimately, The Secret Science of Combat Strategy is about winning—how to win in combat and how to win in life.